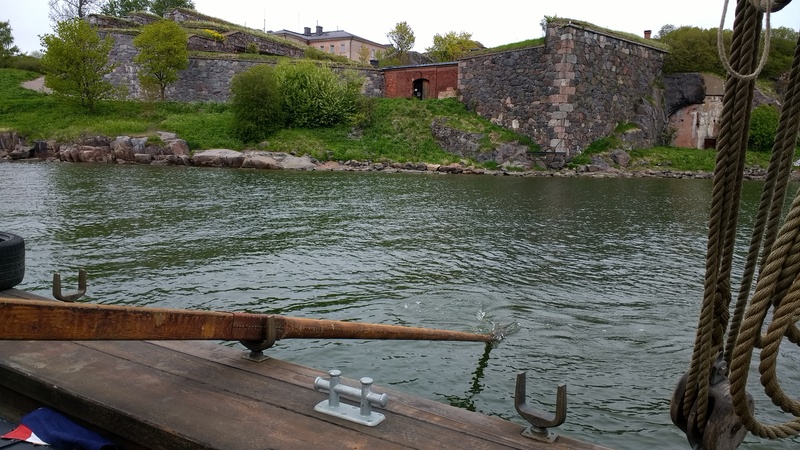 While Suomenlinna is known as a Unesco-World Heritage site, many people don’t know that a group of enthusiastic shipbuilders has rebuilt one of the original types of wooden warships they invented in Suomenlinna. 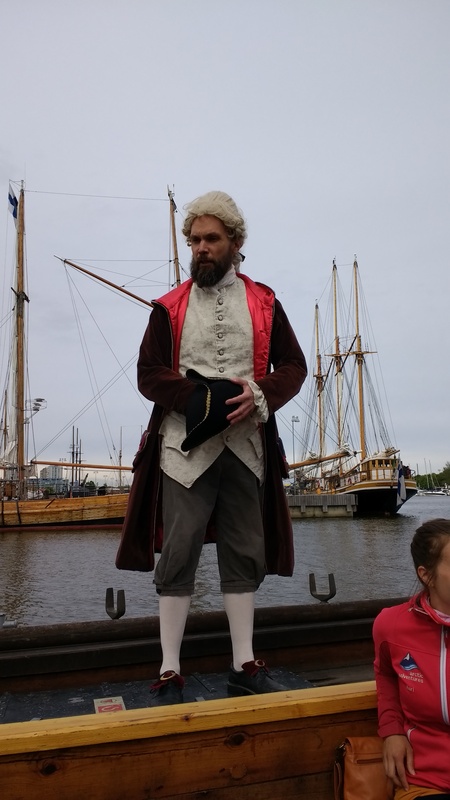 For educational purposes, we Suomenlinna guides received an invitation to participate in a short sailing trip on the historic “tykkisluupi” and to pretend to be aspiring “Marines” for the Swedish army. The weather wasn’t the best, but Mr Chapman (1721-1808) gave us historical insights into the life on those ships and I am ever so grateful that I wasn’t alive in those days and not a young man. Considering the effort it took to build those ships and then run them into a battle only to get them sunk again, and people with it, and all this under extremely uncomfortable living conditions in the first place, really made me wonder about humanity’s sanity again. Now, fortunately, we didn’t encounter any “vihollinen” (read: enemy) and arrived safely at Suomenlinna. These ships were “easy” to manoeuvre, either with sails or by rowing power of 16 young men on each side of the ship and one large cannon in the front and a couple of smaller cannons on the rear side. People really didn’t have much value back then. I enjoyed the trip, of course, but it also made me think and brought the past much closer. It also left me mystified again about the brains of military people, rulers, kings etc. I mean, it wasn’t easy to bring up a child in those days anyway, women gave birth to 7-12 kids only to have 3-4, sometimes only 1 or 2 to make it into adulthood. Somehow “military” has become a familiar part of life, but I wouldn’t mind if we could make it unfamiliar. 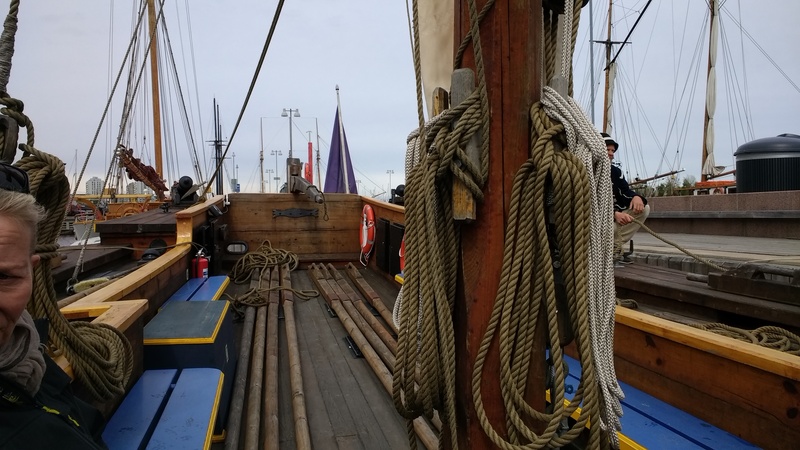 If you want to try out a trip to the past as well, here you find the public sailing dates with cannon sloop Diana, costs for adults 25€.